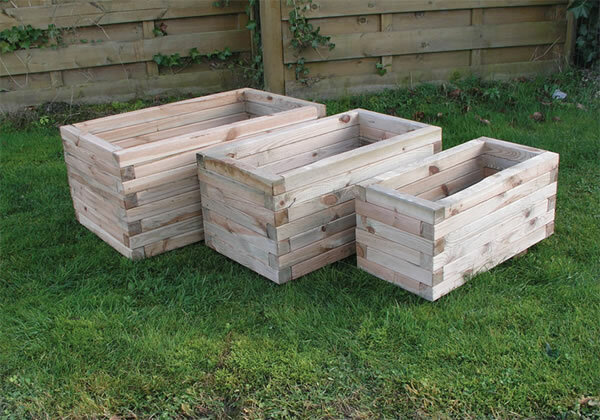 This set of three rectangular planters is ideal for brightening up any outdoor area. These are very versatile and perfect for shrubs, trailers, plants and bulbs. The simple yet effective jigsaw design provides an interesting finish to these planters. The rectangular shape makes the planters easy to fill and empty. Manufactured from FSC certified timber indicating the wood used is sourced from responsibly managed forests and pressure treated for longevity. 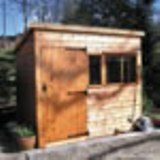 A Traditional Standard pent shed 3.66x1.83m a sturdy storage shed with many options available.